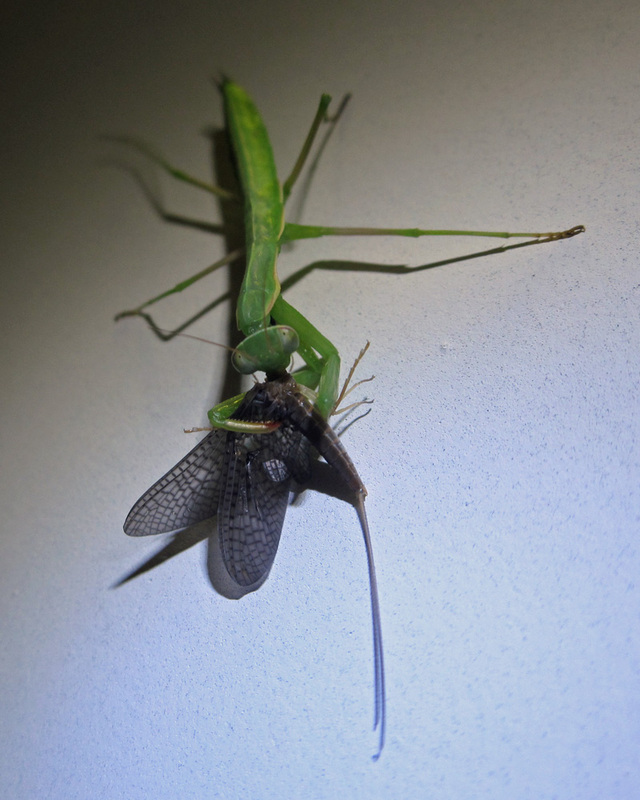 Just some cool shots I wanted to share, of a praying mantis taking advantage of the fact that security lights on buildings bring in a lot of insects. 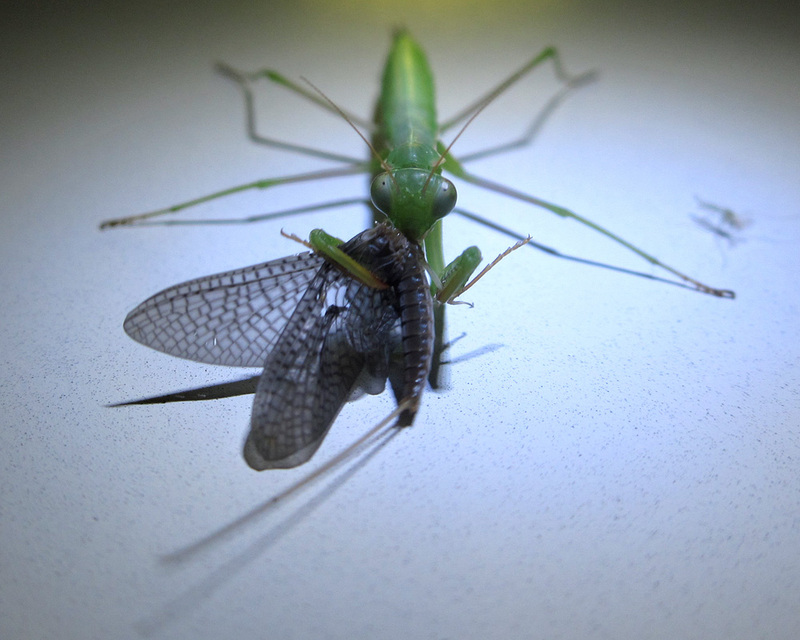 It managed to catch a yummy looking mayfly. 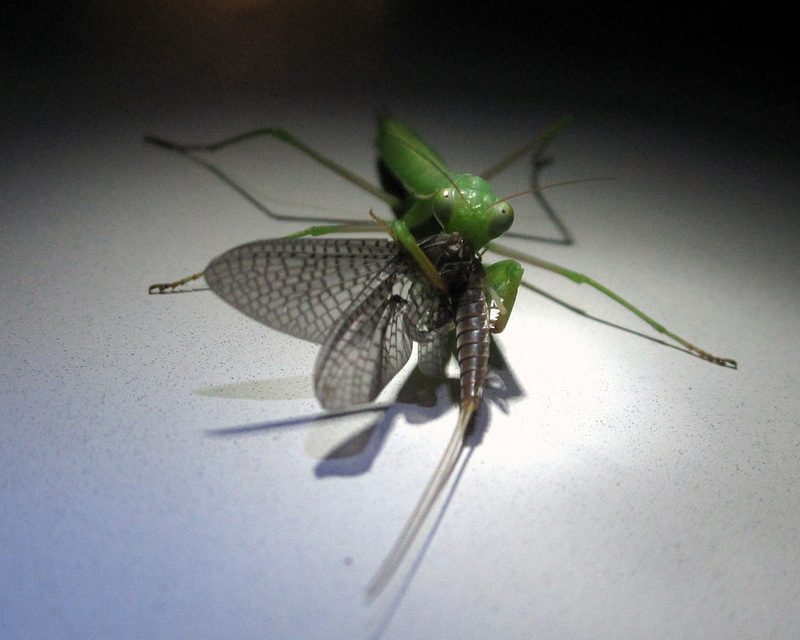 Posted on July 21, 2012, in Black lighting, Ephemeroptera, Invertebrates, Mantidae. Bookmark the permalink. 2 Comments. Oh my, these are beautiful, I am SO going to follow your blog!! !